Surprisingly a number of readers told me that they remember that piece and asked me if our attitudes or opinions have changed. They haven’t. In fact, they’re reinforced daily as we watch a Currier & Ives America unfold in front of us: Tom Sawyer painting the fence in front of Aunt Polly’s Victorian house; Ward Clever walking home from work with the newspaper tucked under his arm; Atticus Finch stepping out of downtown’s historic courthouse; big band swing music echoing from the beach-front Sandy Bottoms; kids playing a pickup baseball game or dad hitting fungos to them on the ball fields near Egan’s Creek; The Presbyterian, Methodist, Episcopalian, and Catholic congregations co-mingling on downtown streets following Sunday services; the mailman greeting folks by their first names; the lazy cocker spaniel watching from the shade of a neighbor’s front porch as we walk or bike by; listening to the ocean waves crashing onto the beach through our open windows; enjoying an afternoon salt air breeze; listening to the squawk of seagulls from the harbor while reading the paper at a sidewalk table in front of Amelia Island Coffee and having locals stop and chat; volunteers building a park playground with donated equipment for children of all abilities, and so much more. As I wrote in the summer of 2011 our last city of residence was Atlanta and we anticipated our move to Amelia Island like sleepless children on Christmas Eve awaiting the arrival of Santa and when we arrived here we reacted like kids who discovered a pony under the tree. At that time I said that before the newness and excitement of living here wore off I wanted to share observations made after living here just 90 days. Now, after three years, we’ve become members of the “we rarely cross the bridge club” and discovered that unearthing Amelia Island negatives is as rare as digging up its legendary buried pirate treasure. However, while enjoying our idyllic existence on Amelia Island, we must strive to ensure we don’t take certain things for granted, such as the dedication and work ethic of city employees whose efforts and training keep our island safe, clean and enjoyable. And I know from personal experience how efficient and professional our first responders are, as they answered my wife’s 911 call in less than five minutes last August when I suffered a stroke and their speed and skills probably saved my life. Even while serving in the military I’ve never experienced a more professional, well-trained, disciplined and courteous team. We have also watched Fernandina Beach city employees effortlessly erect fencing, portable toilets, electrical and water outlets, stages, tents, etc. for a variety of community events ranging from the spring Shrimp Festival to the Blues Festival and BBQ and chili cook-offs and more, then following the events, observed as these same workers efficiently dismantled the fixtures, leaving the grounds spotless in an amazingly brief period of time. We’re also blessed with Chief Jim Hurley’s led Fernandina Beach Police Department that despite cutting its full-time force from 35 to 30 officers has presided over a crime rate that is the lowest in the town’s recorded history. We are indeed fortunate the town has such a capable and dedicated staff and we feel our tax dollars are well spent on these folks. Nassau County’s Sheriff Bill Leeper’s law enforcers are keeping crime in their jurisdiction at an all-time low as well. The attitudes of event volunteers and coordinators, the police, neighbors, musicians, vendors, shop keepers, clerks, sanitation workers, corporate executives, entrepreneurs, and so many more make us proud to be their neighbors in this Norman Rockwell painted community of well mannered, friendly people ranging from toddlers to geriatrics, treating each other with respect, courtesy and dignity and we keep looking around for the family-run Bailey Building & Loan Association office. This is the only place I’ve ever been where the courteous sanitation worker will toss the morning newspaper on our porch and the postman welcomes us back home after a visit with our son and his family in Houston. Everywhere on the island we have experienced nothing but courteous, honest and pleasant people and unique experiences including the plumber explaining over the phone how to fix the garbage disposal with an Allen wrench because he doesn’t want to charge us $85 for to do something we could do ourselves; pedestrians using the honor system by dropping cash into an open jar for ice tea and baked goods sitting on an unattended table in front of the Centre St. Coffee shop when it was closed for maintenance; the fresh vegetables, baked products, live music and more at the Saturday morning Farmer’s Market on Centre & 7th Street; chatting with personable barkeep and city commissioner Johnny Miller over the bar at the Palace Saloon; the Salty Pelican’s, Palace’s, and Dog Star’s outrageous Bloody Mary concoctions as they try to outdo each other every Sunday afternoon; the best bouillabaisse I’ve ever eaten prepared at Joe’s 2nd Street Bistro by owner Ricky Pigg, who has the best name for a chef I’ve ever heard; wine-pairing dinners all around the island hosted by Wines by Steve’s Steve Raszkin, his wife Donna, and their selection of great local chefs; the fun, family-friendly and adult-enjoyable evenings with pianist/singer John Springer at the Centre Street Courtyard Pub’s piano bar Thursday through Saturday; the distinctive British accent of expatriate Chef Brian Grimley that could make a tepid bowl of watery gruel sound appetizing as he describes the daily specials at the funky Lulu’s at the Thompson House’s South 7th St. downtown restaurant; the unpretentiousness of businessmen Ernie Saltmarsh, George Sheffield and Don Shaw as they buy, restore and preserve historic landmarks combining a capitalistic motive with a sincere and dedicated community spirit. Everywhere we go we encounter only friendly and polite people who go out of their way to assist us. These include helpful and courteous clerks at Publix, Winn-Dixie and Harris Teeter; Flash Food ladies calling us “baby” and “honey”; polite, smiling and efficient tellers at our CBC Bank led by pretty Jacksonville Jaguar cheerleader Keri Haynes; caring police officers; well-dressed and polite high school students working at the local movie theatre and various coffee and ice cream shops; the all-volunteer auxiliary policemen; the locals gathering at T Rays South 8th St. Burger Station counter and so many more. They make daily life here incredibly pleasant with their smiles, “thank you’s” and “hello’s” and calling us by name. All communities have a down side and we’re not immune, but ours is one that may soon be fixed and is not visible to visitors: the city’s costly, repressive and arbitrary impact fees levied against businesses have tossed cold water on some business’ plans to open here and squelched the expansion plans of existing ones, but they have been declared illegal by a circuit court judge’s ruling. The city is appealing that order to the state’s Supreme Court in what many legal experts say will be a failed effort, and then maybe we can rid ourselves of those responsible for that mess and get on with the showing of “It’s a Wonderful Life.” Also, despite running on pro business platforms some of the town’s elected officials appear to be mindlessly bungling along, but we are fortunate that, like all American communities, elections can generate changes that will help fuel our town’s entrepreneurial ship and generate candidates anxious to remove barriers that hinder businesses from generating revenues, expanding, and hiring more local employees. Many who have visited us have said how fortunate they think we are to reside here year around, with many first-time visitors deciding that this is the place they want to be, going home and making arrangements to take the plunge and step into our Rockwell painting. As I said three years ago, working as a journalist and then for international corporations provided an opportunity to live not only in Atlanta but in a variety of diverse locations including upstate New York, Houston, Dallas, Austin, Tampa, Washington DC, and Brussels and Paris. We enjoyed many of those locations, but this is now home and we couldn’t be happier. However, when you live on Amelia Island, where do you go on vacation? Nice job, Dave. Nailed it. We are all so very lucky. You captured it ALL. If there's more, I don't know where it's hiding. BRAVO! Beautifully written! We truly have found "our spot" in Fernandina Beach and this article perfectly encapsulates the ambiance of this unique island. Thanks! WOW! Dave you really nailed it this time. What a great article and so so true. Thanks for your talent. Dave, ditto! Loved reading and sharing. Dave, It makes me feel so good to read your article. I do love it here. Dave you have really outdone yourself. I can't believe we live in such a wonderful place that you have so aptly captured in this wonderful article. Sure there are some negative things but they are always outweighed by the positives in living on this special island. Keep your positive observations coming! What a delight to sit here and read about our little slice of paradise. You have truly captured how we all feel and your writing style is delicious! Wow! How did we miss this jewel? Putting it on my list of "must see places. " Well written, captures the ambience of the Island. Wow, you described our island in some detail, all correct! Many of us will forward this to friends unfortunately enough not to live here, ones where we have founds our words inadequate to explain our good fortune. And you caution us to remain aware of what is important and to support our leaders whom we have have chosen to maintain it. Thank you! What a really wonderful article about living on Amelia Island! You really captured the feeling and this place! Enjoyed this very much! I am blessed to get to say I live here too. Thank you. What you have just described is the hospitality of one of, maybe the last, really Southern towns. I feel the same way and have for the past 18 years that we have lived here. 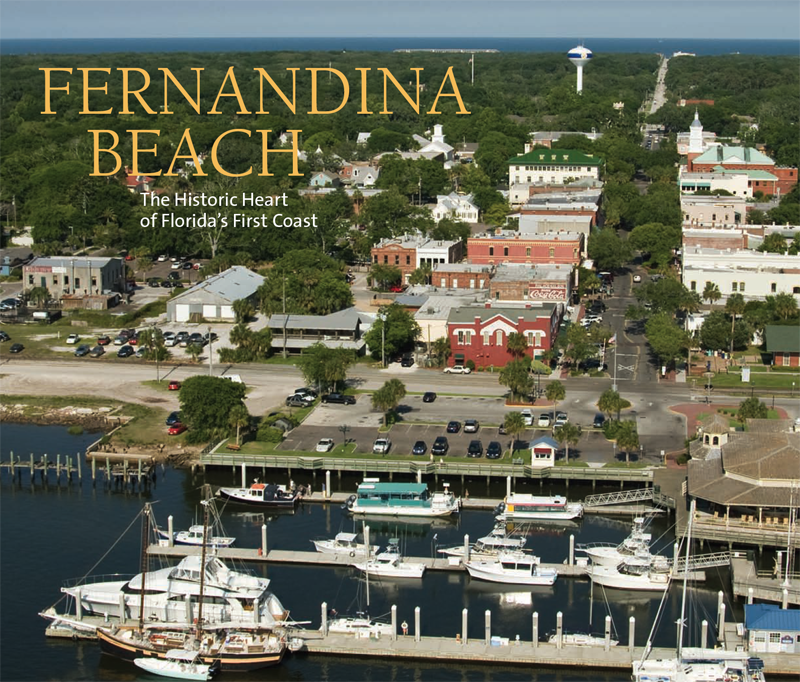 Every day living here in Fernandina Beach is just like our first day.